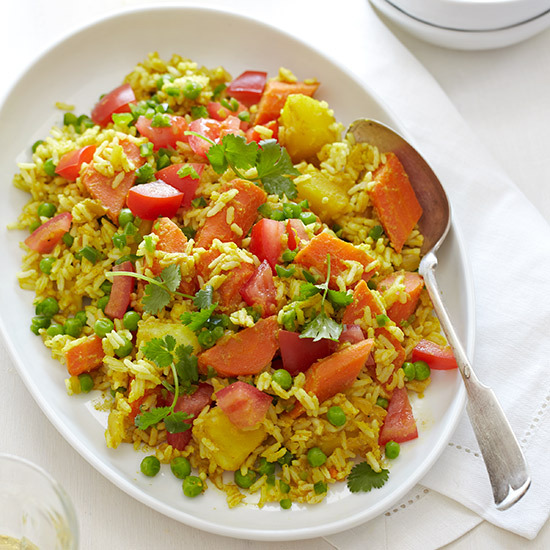 This mixed rice dish is a staple in Indian cuisine. 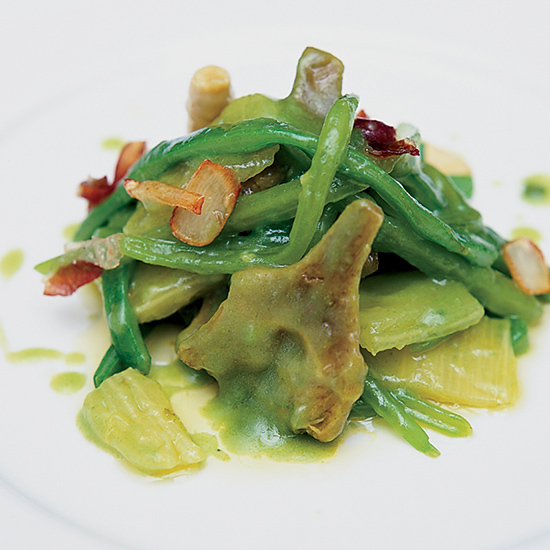 Whether made with vegetables, chicken or lamb, these recipes all boast eclectic flavors. 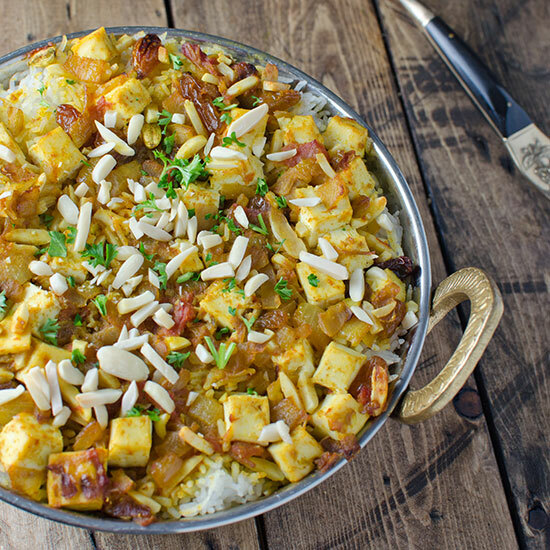 Made with fragrant basmati rice and aromatic spices, this healthful vegan tofu biryani smells as good as it tastes. This fragrant spiced lamb-and-rice dish from Chopped judge Maneet Chauhan is just one of the many biryanis she features quarterly at her Nashville restaurant, Chauhan Ale and Masala House. The flour-and-water dough that covers the biryani while it cooks is not meant to be eaten. 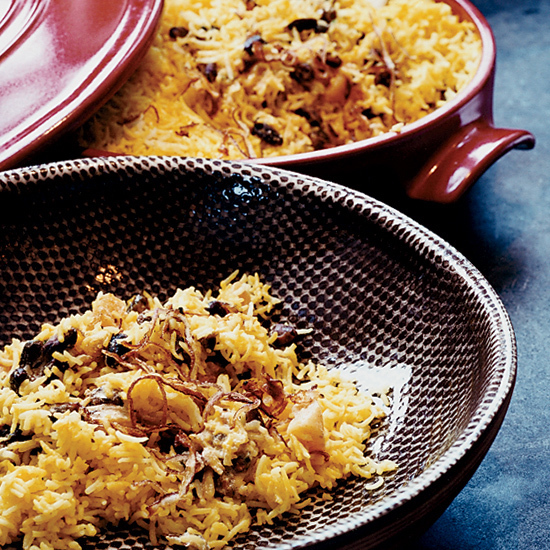 Instead, crack off the dough lid and discard before serving, then scoop out the saffron-laced rice and lamb beneath. The cooks of India and Pakistan take their rice seriously. It is in these regions that the humble grain is transformed into some of southern Asia's most delicious dishes, such as biryani, a richly perfumed combination of rice, vegetables, and sometimes fruits, nuts, and meats. Our vegetarian version features potato, carrots, and peas. Many Indian restaurants call any spiced rice dish biryani, but Suvir Saran insists, "Biryani must be layered." Here, he boils rice like pasta to make it fluffy, then layers it in a casserole dish with yogurt, pistachios and apricots. 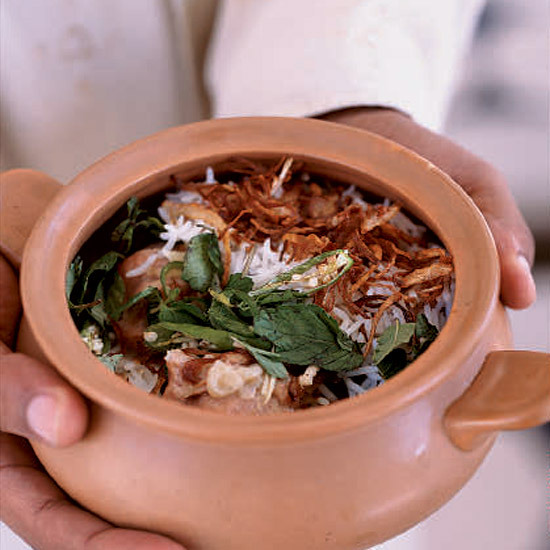 Though some of the fat has been cut from this version of the elaborate rice pilaf called biryani, the saffron-infused milk and the drizzle of melted butter over the top make it a dish fit for Shah Jahan, the creator of the Taj Mahal. the rice is cooked with whole spices, which are not meant to be eaten. Made with fresh vegetables, raisins and almonds, this vegetarian version of biryani, a traditional Indian rice dish, is a meal in itself or a great side dish. 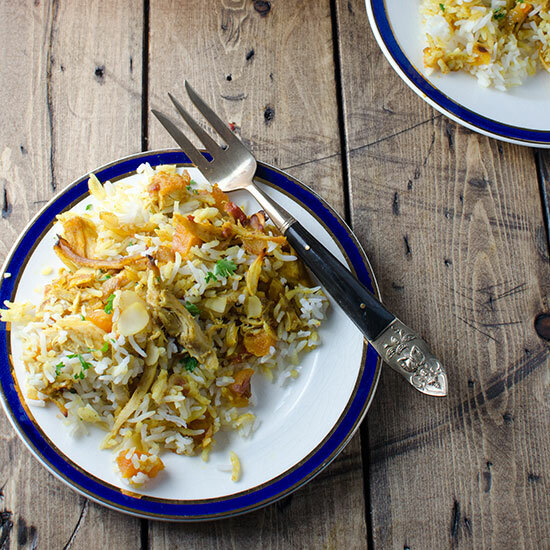 This chicken biryani recipe with lots of vegetables, chicken, dried apricots and aromatic spices is hearty enough to be a complete dinner in itself.